In Africa, Cameroon, where I come from, we affix blessings to greetings. A cosmetic greeting is regarded as conceited and disrespectful. Please accept my cultural form of greeting – Good day, everyone – I’m Fanny FM, I create no borders in my writing ingenuity. 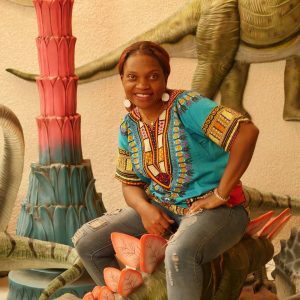 I write children’s fiction and nonfiction, self-improvement, and motivational fiction. I look back, recalling our first meeting, Dedra. I still relate to your infectious smile which bewitched me to approach you in the book fair. More enthralling, were your brilliantly displayed books, summoning genuine mythical Arabian tales. In Africa, you will be given an honorable title Nzah. A big thanks to Dedra and Rodney for inviting my article on your blog. As we always sat around the three stone fireplace for our usual storytelling night, my mother tossed a handful of groundnuts into her mouth and invited us to share in the big bowl, enough to carry our entire family of ten through the story night. “The world is full of invisible souls, we connect with them when we tell stories.” She poured her initiation. As a child, besides aesthetic moments playing with my mates, storytelling was more meaningful than just the story. It shaped my life and the way I appreciated everything around me. My mother is an oracle in oratory, her emotions alive, keeping us spellbound, in compulsive fear, excitement, and pathos. She was clever and chucklesome when narrating hair-raising tales, spicing her stories with songs and onomatopoeic. She taught us the songs just the way the characters sang. We could not resist laughing out loud when she mimicked, impersonating the characters. Some of her stories were passed on from generation to generation, some were her creativity. With a DNA from her, I cannot deny my passion for writing and storytelling. As oral tales progress to written tales, finding ourselves in the digital age is a wonderful opportunity of sharing our stories with the world. There is no trace and meaning to life without books. Getting people to become a part of your story is the taxing trail. Self-publishing has brought a significant congregation to the writing world, giving every writer willing to bear the financial load an opportunity to publish. The sweet accessibility of self-publishing is very frustrating without developing self-network marketing skills. The rough road of a writer at the marketing stage is exciting to me as a storytelling. 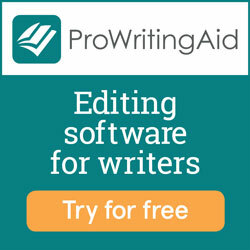 It gave me the urge to learn basic video editing and designing which has facilitated my online exposure. I am extremely fun of video making and motivation. Apparently, I find deeper meaning in everything around me and translate to a story which I share with my audience on social media platforms. People yearn for new ideas. As writers, we bear part of the responsibility to entertain the world with our most unique and authentic tales. Sometimes people read your books not necessarily because you spoke about the content, but because you share other schemes they can relate to. Literally, people are most likely to trust you when you keep them learning and preoccupied consistently. While using social media to keep our books in the limelight, it’s also vital to maintain good standards of quality and values. You cannot win the hearts of your readers and audience without an effective sense of emotion and communication. I could not have done that any better without a coach. We all have that moment of fear similar to a bungee jump, rushing our adrenaline before facing an anxious audience waiting to listen to the idea in our books. We can always overcome when coached to deal with these ambush energies. My most desirable moment is working with children. Ten years ago when I came to UAE, I was overwhelmed by the cultural diversity of the country. If you are privileged to live in UAE, a country which is an attraction of assorted cultural manifestation of people from the world over, you get the opportunity to learn much about the delightful cultures from every part of the world. 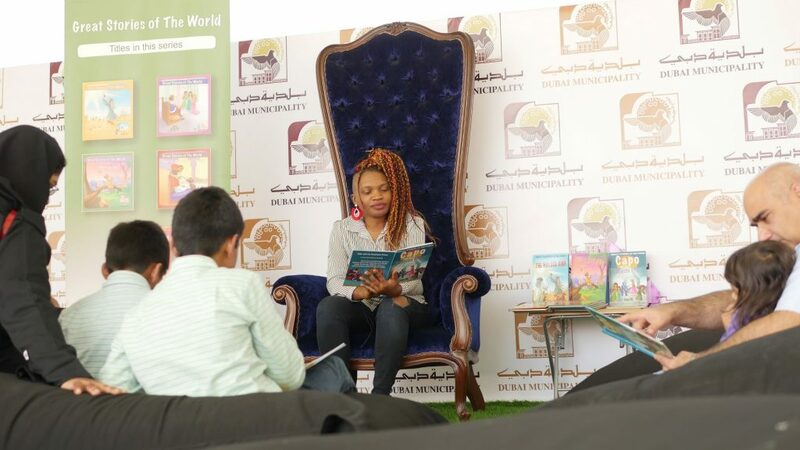 Through my event company and storytelling sessions, I got the chance to work so much with children and learned about their different cultures; like names, dressing, and cuisine. They have similar and divergent ideas of the world, always related to their cultures. In this light, my interactive sessions with children are always very interesting as everyone is excited to learn something which is not familiar to them. Rationally, I thought of expanding my storytelling to a wider horizon, so I initiated GREAT STORIES WORLD. Bringing children to fascinating adventurous fiction and nonfiction stories in one label. Spending time with children is fulfilling. They are always enthralled to learn about the hero and characters in stories. 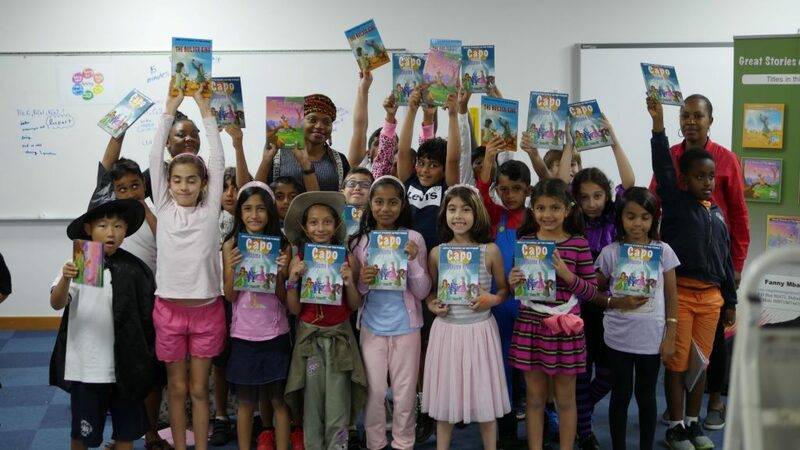 Writing stories for children is a great way of encouraging reading attitude in them, which helps promote literacy, language, and develop their ability of expression. Through stories, children value their own thinking creativity and think out of the box. Great stories world is a wonderful asset point for children to read many stories from across the planet while having a sense of their place in the world. There is more to life than just hard work. As writers, seeing our first published book is tremendously fulfilling. Children are my anchor to every lead. We cannot go above our limitations without embracing the child we once were. Being an entrepreneur is a great privilege of leadership. We all lead in our authentic ideas, but we can only strive and make a difference in our fast innovative and competitive world by initiating consistency in our creativity. Thinking out of the box gives me uniqueness in my writing. 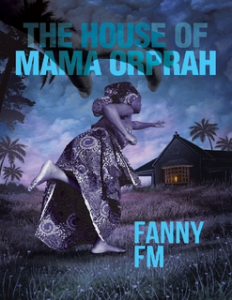 Novel: THE HOUSE OF MAMA ORPRAH by Fanny FM self-published by Lulu Publishing.